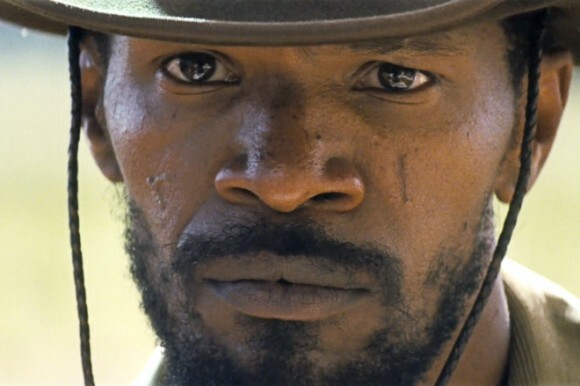 Could a black director have made “Django”? By David Sirota[I]n all the foment, one issue that’s been little discussed is how the film reflects the way White Privilege works. That’s a particularly important topic right now, in light of the intense conservative backlash that now occurs after any mere mention of the concept. Film critic Eric Deggans alluded to White Privilege in his terrific Salon piece on “Django Unchained” earlier this week. Noting that ”studios know white audiences will show up for (Tarantino’s) movies,” he concluded that Tarantino is “a white man who gets to do what black artists should also get to do”—but too often do not get the opportunity to do. Why not? Because of the way films by different directors are inevitably portrayed in the media and interpreted by White America. The best way to illustrate this form of White Privilege is to imagine ”Django Unchained” being released as a production from an African American writer and director. Under those circumstances, in the media and among white audiences, the film most likely would be perceived not merely as a mass-audience entertainment product with some underlying social commentary by a single director, but as a niche political film allegedly from a whole community with an axe to grind. That is, it would probably be met in the media and among potential viewers not in the way it has been met, but instead as a divisive “black movie”—by, and allegedly only for, black people. Studio executives know all of this. In Deggans’ terms, they “know white audiences will show up” for a white director’s film about race issues, but they fear white audiences will not show up for an African American director’s film about the same issues. Thus, when it comes to films dealing with racism, it’s probably harder for African American writers and directors than for their white counterparts to convince studios to finance their projects. That difference is the definition of White Privilege. Noting all of this is not to assert that African American writers and directors have never found commercial success in films about bigotry, nor therefore to absolve film studios for any institutional racism. But it is to point out that White Privilege is not just about individual bigots and single industries. On the contrary, it operates on a mass level whereby America—whether consciously or unconsciously, whether overtly or subtly, whether in movie tastes or other consumer proclivities—often privileges whites over people of color. In the case of “Django Unchained,” as evidenced by stunning ticket sales, it privileges a film from a white director that it might not similarly reward had the very same film come from a black director (assuming such a film from a black director would have even been green-lighted by a major studio). Put another way, it allows a white director to tell a filmic story that a black director might not have been permitted to tell on such a large mass-audience stage (or, at least, to market as a “mass-audience” production).Comment: I don't know about Django Unchained, but for the most part, white versions of race-based movies are more sanitized than minority versions might be. Lincoln is a good example, or Dances with Wolves. They tend to reinforce our cultural myth that America is about great white men doing great things. Even if it means correcting the mistakes of few bad apples who are also white men. In other words, it's rare to see a harsh critique of America's systemic racism from a white filmmaker. And Hollywood won't greenlight harsh critiques from minority filmmakers. Because studios perceive movies that challenge the status quo as bad even if they make money. For more on that subject, see Movies Convey "America's Master Narrative." For more on Quentin Tarantino, see Al Carroll on Tarantino's Scalping and Tarantino's Apache Warfare Fiction. That's interesting. I always saw it as kinda the reverse, that if you were a minority, you were pigeonholed as "the race guy". Spike Lee could have done a movie like this easily. There was a period where Spike Lee could make whatever movie he wanted, but I'm not sure that's true anymore.